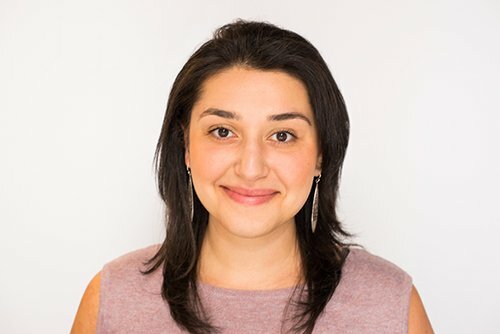 Leyla is a registered dietitian and editor with over 7 years’ experience in digital health communications. As a registered dietitian, she is passionate about sharing factual, actionable, and personalized information. She’s a functional nutrition pro, and through her dietetics training and career she’s also become familiar with managing prevalent health topics like heart disease, diabetes, cancer, and more. She’s passionate about learning the details that power our bodies and all the strategies proven to help us stay in tune. Leyla has a diverse background within the health and nutrition sphere. She’s worked with teams leading positive change on a local and national level. Before transitioning to digital health, Leyla spent her time engaging farmers and shoppers at New York City farmers’ markets. She worked with the New York City Department of Health and Mental Hygiene to implement nutrition education sessions, and with the nonprofit GrowNYC to implement over 200 yearly educational tours for children and adults in the tri-state area. At the same time, she completed her Master’s degree in Clinical Nutrition at New York University and her dietetic internship at Wellness Workdays. Leyla began working in digital media in 2012, co-directing editorial content for Calorie Count. She then became an editor at About.com Health before it transformed into Verywell, where she now serves as Senior Editor. She also authors recipes, meal plans, and general health content and offers occasional tips (and translations) to readers of publications like BarBend. Leyla’s nutrition philosophy isn’t unique, but it’s been proven to work: think simple and stick to the facts. As new diets and products with intriguing promises make their rounds, research them before trying them. Most of the time, you don’t need much beyond the basics — nutritious, balanced meals of vegetables, fruit, whole grains, lean proteins, nuts, legumes — to reach your goals, regardless of how big or small they are.